Nevertheless some related strategic documents addressing food and waste in food industry exist. The two important national strategies on this matter are the “Food Chain Safety Strategy 2013 - 2022” (mandated by the national Act n°2008.XLVI on the food-chain and its regulatory supervision) and the “National Waste Management Plan (2014 - 2020)”. This plan is not directly aimed at the reduction of food waste but has implications on food waste generating activities. The strategy’s vision is that food chain products (particularly food) will be always healthy, high quality and safe as well as that people and the society show a high level of awareness and responsibility in food production, in trade and in consuming behaviour. In this context society includes all actors of the food chain, so in addition to companies and authorities, it includes the media, politics, professional, civil, educational and scientific organizations as well. One of the most important effects of this strategy is an improvement regarding the preservation of food quality. Risks to food quality and food chain safety are influenced by three basic factors: (1) the vulnerability of the production process against certain hazards, (2) the overloading of the monitoring system due to increasing amounts and kinds of food, and (3) ineffective communication and distribution of information between the actors of the food chain. By handling these risks customers will receive food of better quality and, thus, the food waste production can be reduced. The Food Chain Safety Strategy defines 4 strategic objectives and 11 programmes to achieve the main goal – increasing food chain safety. Protection of critical infrastructures (MRD and NEBIH, 2014). The NWMP defines evaluations and conditions of different types of waste, objectives and prognoses regarding waste treatment for the period from 2014 to 2020. Waste from food industry is mentioned, but not analysed in more detail. The NWMP also recognizes that the problem of differentiating between waste and by-product is crucial. According to the NWMP, food waste is managed together with the waste from the agricultural sector and biodegradable part of municipal waste. From the agriculture, forestry and food industry, 30-35 million tons of biomass are generated per year and 15% - 20% of this amount is considered as waste. The 80% of biomass is utilized in two ways: composting and energy utilization. Changing the sustainable consumption practices of companies (e.g. green procurement) is also addressed as a possible instrument for food waste reduction. Elimination of waste: Usage of foods for charitable purposes when the food is adequate from the food security point of view but its durability time has nearly expired. promoting the legislation of charitable usage of those products which are adequate food from security point of view, but their quality durability time has expired. In Hungary there are two major marked-based instruments with implications on food waste: the corporate tax benefit for donations (National Act n° CLXXV/2011) and the exclusions of the value added tax from donations (National Act n° LIII/2010). Description: This act was issued in 2011 and promoted by the Hungarian Parliament. It states that 20% of the value of donations can be deducted from corporate tax base. This change in Hungarian VAT regulation changed the previously existing problem that in cases where VAT was applicable for food surplus donations, destroying food was financially more beneficial than donating. Description: The Act on VAT (n° LIII/2010) was issued in 2010 and promoted by the Hungarian Parliament. The VAT exemption for food donations means that neither the companies donating food nor the recipients of these donations have to pay VAT. This act also contains a detailed definition what is understood by “charitable donation” (meaning making goods and services available to public-benefit organizations). No VAT exemption applies, for example, when the products are given to own employees or to the own enterprise (meaning internal using). Description: This regulation was issued in 2014 by the Ministry of Human Resources. It regulates the healthy nutrition content and conditions applied in public catering (schools, hospitals, etc.). The defined minimum level of portion sizes may result in some cases in food waste generation. Description: This act was issued in 2008 by the Hungarian Parliament. The act defines the legal regulations and requirements regarding the regulatory supervision and monitoring of the food chain. The sections with implications for food waste regulate for example: The producer is responsible for the declaration of the shelf life of goods (“best before”) and the deadline for its consumption (“use before”). It is forbidden to sell goods with an expired “use before” date (deadline for consumption) on the market. ​Definitions for requirements for storage to ensure the declared shelf life. Some of these limitations and conditions may result in food loss and waste e.g. pursuant to Hungarian Law products may not be sold after ‘best before’ or ’use before’ dates. Regulation on the usage of food-waste for feeding animals (Regulation 75/2002 (VIII.16. )): Description: This regulation was issued in 2002 by the Ministry of Agriculture. The aim of this regulation is to minimise the risks to animal health, especially to prevent the swine fever. One of the provisions with implications on food waste is that the feeding of swine with food waste is prohibited (28. § (1)). Description: This act was issued in 2012 by the Hungarian Parliament. It is the implementation of the 2008/98/EC Waste Framework Directive, containing the principles of waste hierarchy and thereby promoting the optimisation of food waste use. The act refers to food waste in the definition of bio-waste: bio-waste is defined as biodegradable garden and park waste, food and kitchen waste from households, restaurants, caterers and retail premises, and comparable waste from food processing plants (2. § (1) 3.). Description: This regulation about food safety conditions in the hospitality and catering sector was issued in 2011 by the Ministry of Rural Development. Regulation on landfill and related rules and conditions (Regulation 20/2006 (IV.5. )): Description: This regulation is the implementation of the EU Landfill Directive, issued in 2006 by the Ministry of Environment. It refers to food waste in relation to the intention to reduce the amount of biodegradable waste to be deposited on landfills. In Hungary, there is no legislation specifically addressing food waste reduction. In Hungary, there is no legislation specifically addressing food (re-)distribution. Based on the local regulation (26/2013 (IV.18)), only one company – Waste Management Ltd. of the Capital city (FKF ZRt.) - has the exclusive rights for the collection and treatment of the communal waste. The inhabitants have the possibility to collect the biodegradable waste in special bags. These bags – with company’s logo – can be bought from the company. The collection period is from March to November in the city quarters (the regulation contains the exact streets of Budapest). The frequency of collection is once a week. However, this regulation does not directly address food waste. The waste management company active in Budapest collects the biodegradable waste – in special bags – since 2006. After treating this waste in a composting system, the compost is used for landfill coverings. In this plan, also food waste is addressed briefly: It states that the separate collection and treatment of biodegradable waste generated by the households other than garden waste – meaning for example: food waste and kitchen waste - are not solved yet and treatment capacity is not available at the moment. The company will examine which option is the best treatment technology regarding economic, environmental and social aspects in the near future. Based on the KEOP 1.1.1/B programme home composting was introduced in 2013 in order to reduce the amount organic parts in residual waste. The regional waste management company of Miskolc city collects waste in 37 settlements covering Miskolc City and its surrounding settlements. In little settlements with less than 2000 inhabitants, there is no bio-waste collection by the waste management company because this is too expensive. Instead, the waste management company distributes composting bins (or frames) to the inhabitants (free of charge) for composting at home. The compost then can be used in their private gardens. The programme of giving composting bins (frames) to the inhabitants by the local (Miskolc) municipality and the “Green connection association” in cooperation is established since 10 years. The official waste management company gives bins for free only in little settlements, the “Green connection association” also in bigger settlements. Bigger settlements (more than 2000 inhabitants, for example in Miskolc city) are split into two types of residential areas: “garden house area” meaning residential areas with gardens and “block of flats area” meaning residential areas with mainly bigger houses / block of flats without gardens. In the “garden house area”, the official company gives “green bags” to the inhabitants for free to collect the bio-waste. From March until November this bags are collected every second week. Inhabitants can put large bended biodegradable waste (such as wood or branches) as well as small biodegradable waste (from the garden and kitchen) into these bags. Areas with mainly block of flats are not provided with these “green bags”. The only possibility for inhabitants of these areas is to bring their bio-waste to the public waste yard. Miskolc has three waste collection yards in different parts of the city. It is allowed to bring 240 kg bio-waste per household per quarter of the year to the waste yards. Citizens have to show their receipt of paying the waste bills at the collection yard to be allowed to dispose the waste there. These public waste yards can be used by all inhabitants (meaning also the inhabitants of the “garden house areas”). This document (KEOP -1.1.1./C/13 - Development plan of the waste management system with asset acquisitions in Miskolc and its regions, 2013) contains details on the regulation of the compostable biodegradable waste and characterises of the regional situation. In Hungary, the National Food Bank helps to allocate a big part of the food donation to people in need which is carried out by the partner organisations. The donators are private persons as well as economic and public actors. Donated food primarily comes from food producers and retailers. 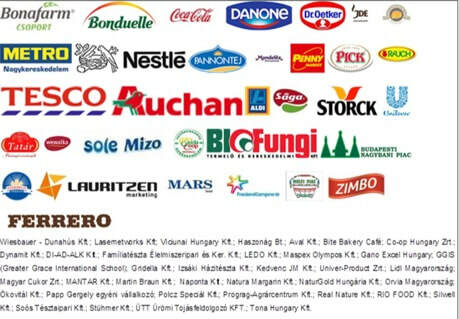 Figure 1contains a list of companies that are regularly donating food in cooperation with the Hungarian Food Bank. 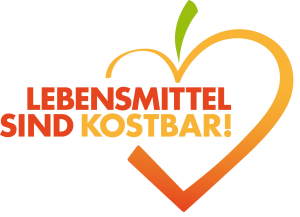 The “Forum for decreasing food loss and waste” was launched in 2014 by the Ministry of Rural Development and the Hungarian Foodbank Association. The main goal of the Forum is to quantify the amount of food waste and considerably reduce it. Further goals are the implementation of at least 20 projects on product path cooperation and raising the awareness of all engaged business stakeholders about the value of food. By engaging all stakeholders along the food supply chain through workshops and working group meetings the “Forum” allows the identification of relevant problems as well as of feasible solutions (The Hungarian Government, 2014). The aims of this platform are increasing the consumer awareness and sharing the information in fields of lifestyle, nutrition and physical activity. Members of the platform are for example offices of Ministries (e.g. Ministry of Agriculture), associations, producers (Nestle Hungaria, Institute for Health Development, NÉBIH, Mars Hungary, Hungarian Dietetic Association, Coca- Cola Hungary, Danone Hungary) etc. (Association of TÉT Platform, 2016).